I hope the statute of limitations is off this story. 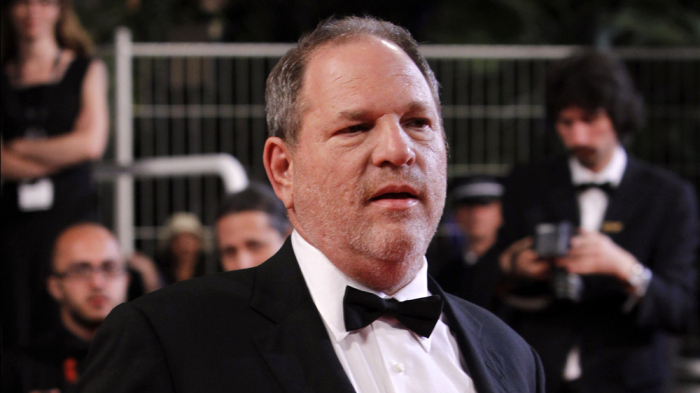 A few years ago, an Us Weekly reporter sent around an email to the entire staff saying that a certain actress had to sleep with Harvey Weinstein in his hotel room to land a part. I replied to the reporter, asking about the validity of the source. Excellent was the answer. But don’t be impressed with my follow-up in pursuit of the truth. I was just privately curious, knowing full well this file would never see the light of day. Us Weekly never did run the item, of course. We couldn’t possibly. It was just another amusing anecdote to share at cocktail parties. This was Harvey friggin’ Weinstein. The most feared figurehead in the industry. He could devour us all for breakfast without burning a calorie. Now that his alleged indiscretions have been made public, I’ve thought a lot about that file. I wonder how many other media outlets received and/or had first-hand knowledge of similar accounts over the years and then pressed the mental and physical delete button out of sheer necessity. I can’t stress it enough: Harvey Weinstein is (was?) that intimidating. The effort of cobbling together a damming story wasn’t worth the price, at least not in Hollywood — where favors are both the currency and the name of the game. And Weinstein was the biggest name of all. Can the average Joe or Jane list any other movie studio chief, let alone what said studio chief actually looks like? Come on. Roger Ailes was a force as well, but no A-list star ever profusely thanked him at an awards show podium. Weinstein’s mere image — heavyset, rumpled, stubbled, sneery, narrow-eyed — signified unlimited power. Disgrace him, and he could dish it back 100 fold, with a vengeance. He would have been a great animated movie villain if he weren’t actually flesh and blood. That’s why the only logical choice was to stay on his good side. This wasn’t necessarily a difficult task. He greenlit dozens of excellent Oscar-winning movies. He threw the most incredible VIP parties. At the Soho House in Toronto, I couldn’t help but gawk at Jennifer Lawrence and Kristen Stewart, wearing dresses, running up and down the secret staircase together. When I was invited to a fancy Weinstein presentation at the Cannes Film Festival in 2015, my inner-geek felt instantly gratified. I never personally talked to the man, only saw him at a distance. That’s how I preferred it. Perhaps my most telling encounter was at an evening Sundance Film Festival screening maybe three winters ago. I left the movie about 15 minutes early and sauntered down the narrow staircase at the local Park City, Utah, library. The man himself was at the landing. He was alone, pacing and shouting at somebody on his cell phone. I assumed he was there to avoid the whipping winds outside the door. I was desperate to loiter in the area and eavesdrop for just a fleeting moment. I hate to admit it, but l was more than a bit starstruck. Look, there’s Harvey Weinstein in action! He’s getting his way! Don’t cross him! I have great admiration to all the brave women that have come forward with their horrific stories — as well as the few-but-proud influencers who have publicly supported them and denounced Weinstein’s shameful behavior. (Fine, allegedly shameful.) But I also want to salute the dogged staff at the New York Times for having the guts to bust open this scandal. The NYT didn’t care about the very-real repercussions from the Hollywood elite or the threat of lawsuit or the risk of being blackballed from covering events or talking to talent. They gathered the on-the-record accounts. They did their homework. They took all those whispers and splashed it across the front page for all to see. It’s not altogether different from what the Boston Globe reporters accomplished in Spotlight. If this expose helps just one woman, it’s a job well done. Now that’s worthy of a thank you.